Welcome to American Classic Pedigrees! Interested in Thoroughbred breeding? Want to find out more of the history behind the names you see in pedigrees? You're in the right place! As a pedigree analyst with over 40 years of experience in researching Thoroughbred bloodlines, I've put together this site to put the resources you're looking for at your fingertips. American Classic Pedigrees is focused on the bloodlines that have produced the champions and Classic winners of North and South America and is dedicated to everyone who loves Thoroughbreds—owners, breeders, trainers and fans. If you enjoy what you find here, please visit often and tell your friends! You'll find something new here almost every day, and suggestions are always welcome. 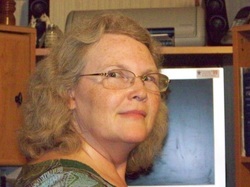 I'm Avalyn Hunter, author of American Classic Pedigrees 1914-2002. This book, published by Eclipse Press in 2003, is a look at the pedigrees, history and breeding influence of the winners of the American Triple Crown races and their filly equivalents. I am also the author of the Eclipse Press titles The Kingmaker: How Northern Dancer Founded a Racing Dynasty and Gold Rush: How Mr. Prospector Became Racing's Billion-Dollar Sire. In addition, I've contributed to five other books and written numerous articles on pedigrees and racing history for The Blood-Horse, Thoroughbred Times, Louisiana Horse, New York Breeder, Market Watch and Owner-Breeder International. American Classic Pedigrees thanks Dale Wyatt for his generosity in sharing images of some of the greats of the pre-World War II era and mid-20th century from his private collection. Please do not copy or distribute any of these pictures without Dale's express permission.